Pink sport headbands terry for sweat. Be seen on the field with our pink athletic terry headbands. 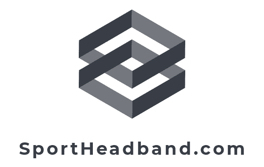 When you play sports, they keep the sweat out of your eyes and because they are machine washable, our pink sport headbands will work as hard and as often as you. Our pink cotton terry head bands come in a variety of pink shades including: hot pink, light pink, bright pink, and dark pink. Want to show your support for breast cancer awareness? Choose from 4 different breast cancer awareness logos. The breast cancer awareness ribbon symbol, and three breast cancer awareness slogans.